This marker has a 1/4" chisel tip that makes a 6mm wide mark. 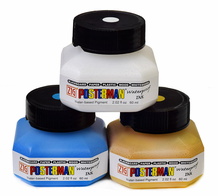 High opacity, water-based pigmented ink allows overpainting without bleed-through. Light-fast, waterproof, odorless, and Xylene-free. Marks on most surfaces including glass, metal, wood and plastic. Also a very popular choice for chalkboard artists! Marks can be removed from non-porous surfaces with an ammonia-based cleaner. Available in 42 vivid, opaque colors. 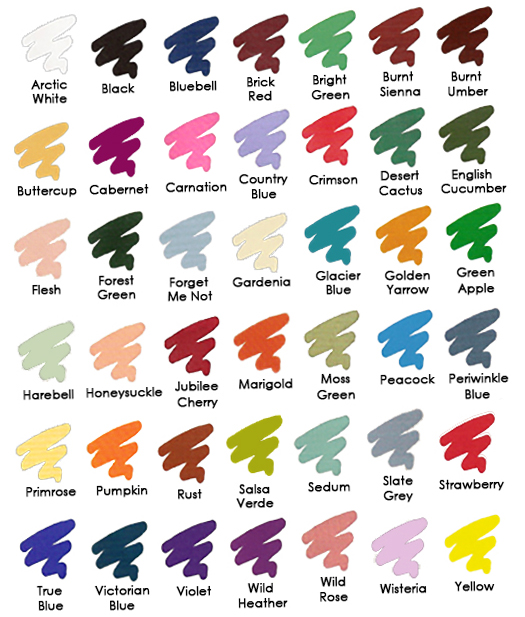 See photo for color swatches!! 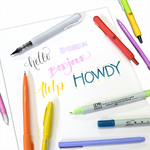 Also available in metallic colors, other tip sizes, and a variety of multicolor sets. Note: Some colors of the Woodcraft markers (most notably Arctic White & the metallics) could potentially leave marks behind after being cleaned off chalkboards ("ghosting"). Check in a small area first or use on re-paintable chalkboards if you are concerned about possible ghosting.